Dream of wandering amongst a beautiful British country garden? Warm sunshine, crisp air, vibrant colours... well dream no longer! 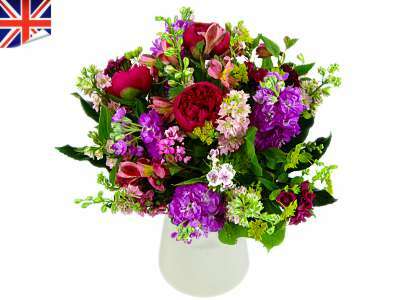 You can now order our popular Beautiful British Bouquet at a special low price of just £29.99 - that's a 14% saving on our regular price. Our British-inspired bouquet is a fantastic surprise gift for anyone who loves long weekends enjoying the sun. Hand-arranged by our expert florists using an assortment of fresh country inspired flowers, this charming bouquet captures everything there is to love about the British summer and is perfect for displaying in any sunny spot in the home.